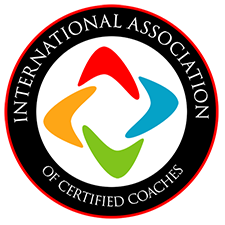 The International Association of Certified Coaches is an accreditation body and, as such, is committed to the development of procedures and standards that reflect the needs of a complex, dynamic and diverse society of individuals. Whilst continually working towards the improvement of support services, another important aspect of developing applications for international coach training markets is the promotion and adequate representation of educational coach programming. The current format of program accreditation offers a thoughtful and respectful process for niche-specific and on-demand training, and the approval of cutting edge programming. With the integrity of diversity, it’s IACC’s intention to represent these programs internationally. In order to ensure quality training, the IACC only accredits coach training programs that meet its high standards. In both stature and content, this method of accreditation provides a competitive edge to the coach training programs and the clients who complete them. IACC is recognized worldwide by coaches as an industry leader, with coaches turning to the Association for their continuing education and training. Having your coach training program approved or accredited by IACC will not only give you credibility, but your program will be exposed to a wider network of coaches through searches and listings.